The internet has made shopping for a lot of the things that people want a lot easier and much more convenient. Because of the power of the internet, many people spend more of their time shopping online; from the comfort of their homes, instead of bouncing from store to store. Most people have found that shopping this way has made it easier for them to compare products while avoiding lines altogether. People can buy all types of goods online. Everything from clothes to cleaning supplies can be purchased with the click of a mouse. Some of the most commonly purchased products have to do with the home. 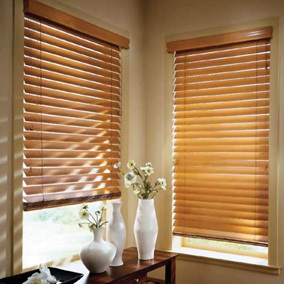 Many of the people who shop for items to place in their home or office usually end up purchasing window blinds online. Most of the experienced internet shoppers already know where to go to find what they are looking for while on the other hand a lot of other people may be fairly new to buying goods online and may be a little overwhelmed by all of the choices that are offered to them. When shopping for blinds, it can be important for people to already have an idea about what they are looking for. This way it will be easier for them to remain focused once they begin to get bombarded by the many different options that will present themselves when they begin shopping. Shoppers should already know the dimensions of the window in which they plan to place the blinds that they will be purchasing. This way they will be able to easily find blinds that meet their exact specifications. Another thing to consider would be any color or design scheme of the room that they are purchasing the blinds for.